Bryn Seion Chapel, Cwmtwrch, is located on the Berrington Hill, and is accessed by a small bridge over a stream. It was constructed in 1877, and has been closed for some time. 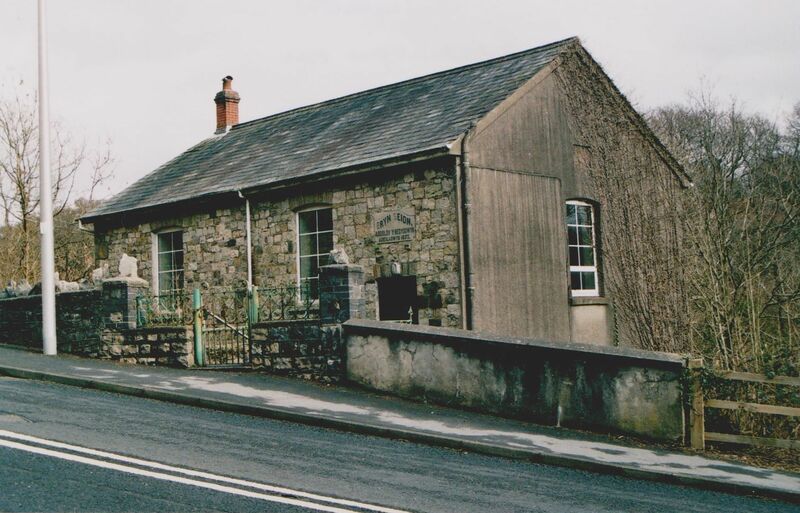 Bryn Seion, Upper Cwmtwrch began as a Sunday school for the Baptists, but was incorporated as a separate church in 1897 when Beulah gave the building to the new cause and saw 57 of its own members leave to create the new congregation. 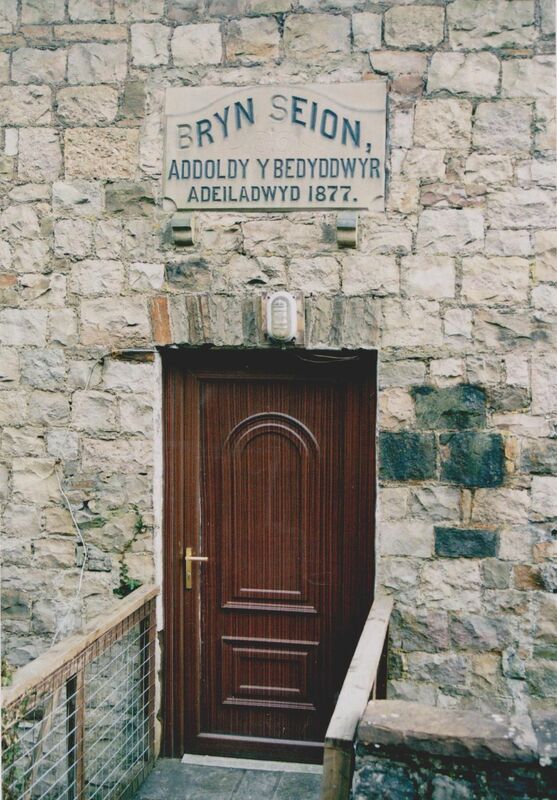 By 1902, membership stood at 174, which was to be its maximum, and in that year Bryn Seion created a daughter church at Bryn Gwilym, Cwmllynfell, when 33 of its members left to form the new church. A view of Bryn Seion chapel, Upper Cwmtwrch, from the main road. 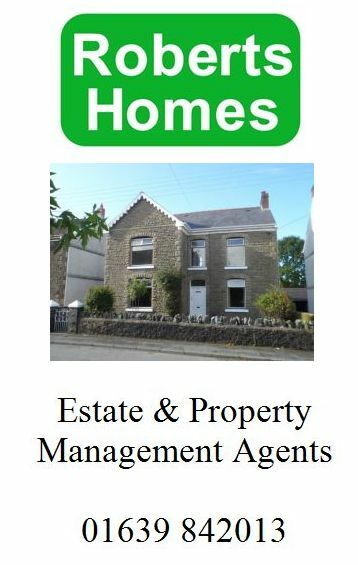 Our aim in listing some of these here for Bryn Seion Chapel, Upper Cwmtwrch, is not to be exhaustive, but to list the major events, and a snapshot of other mentions during a couple of years so that a picture of the life of the chapel may be gleaned. 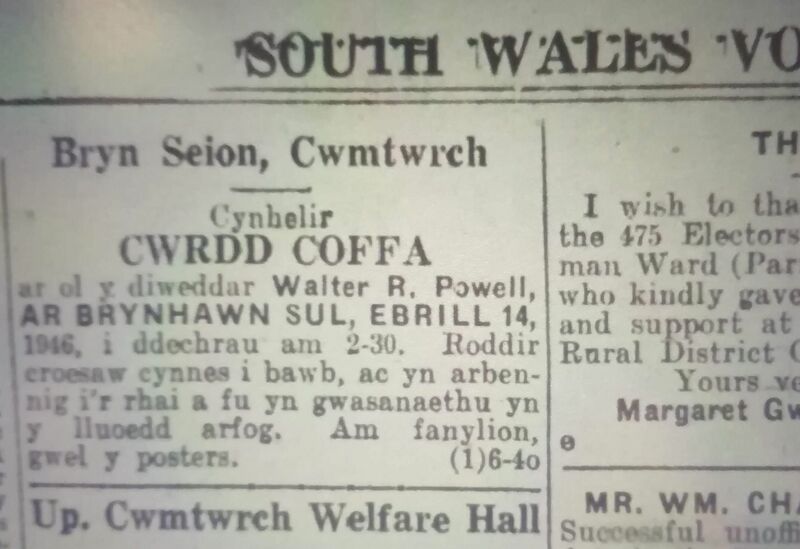 From the Labour Voice Saturday 23rd November 1918 came news of a new minister for Noddfa and Nant-y-Ffin. Reverend George R Davies had been minister of Bryn Seion, Cwmtwrch from 1905-1919, and of Bryn Gwilym, Cymllynfell from 1911 to 1919. 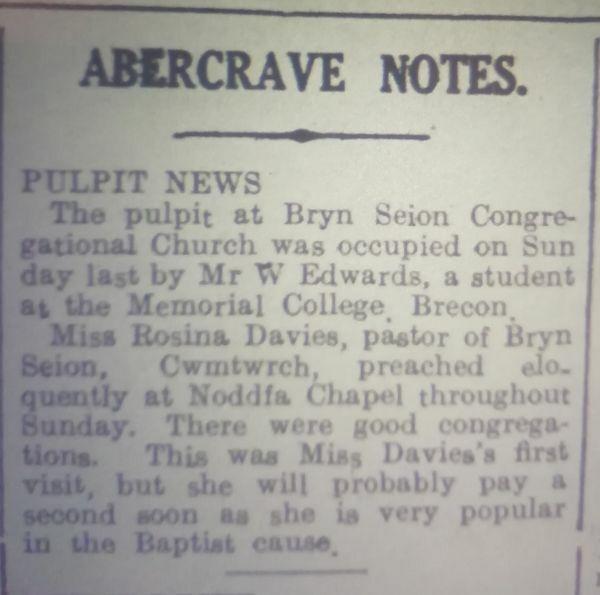 Miss Rosina Davies was hired as minister of Bryn Seion Chapel, Cwmtwrch in March 1926. 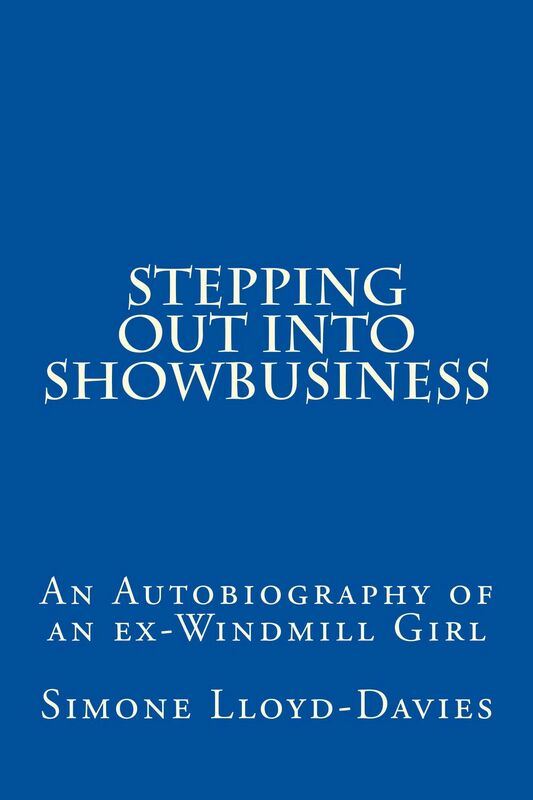 Click the link to see a full biography of this remarkable lady, as well as numerous articles from the Llais about her time at Bryn Seion, which she departed in 1928. 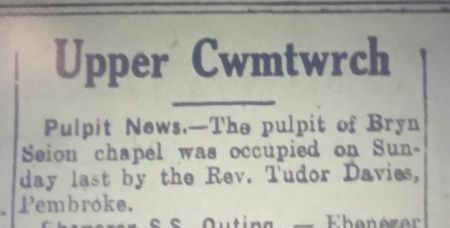 The Labour Voice newspaper of 1st May 1926 records that a visiting preacher occupied the pulpit of Bryn Seion for their anniversary services that year. 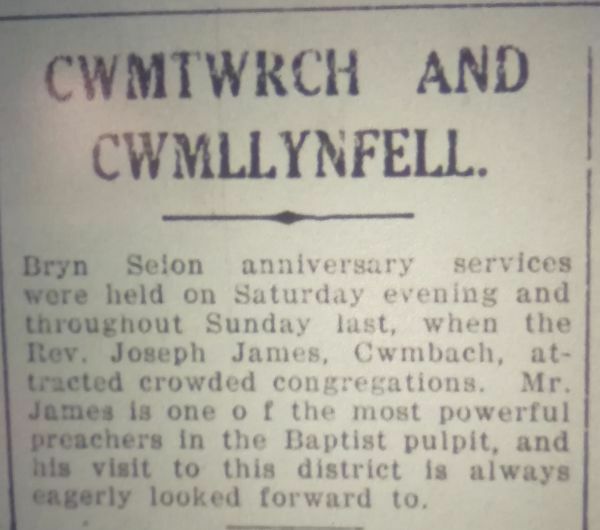 Bryn Seion anniversary services were held on Saturday evening and throughout Sunday last, when the Rev Joseph James, Cwmbach, attracted crowded congregations. Mr James is one of the most powerful preachers in the Baptist pulpit and his visit to this district is always eagerly looked forward to. Miss Rosina Davies, pastor of Bryn Seion, Cwmtwrch, preached eloquently at Noddfa Chapel throughout Sunday. There were good congregations. 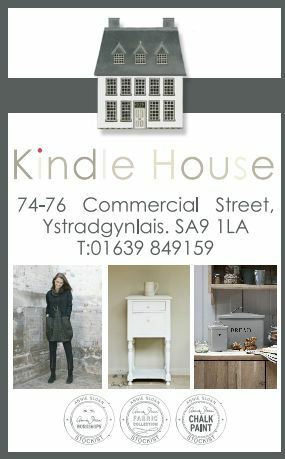 This was Miss Davies' first visit, but she will probably pay a second soon as she is very popular in the Baptist cause. Bryn Seion - The Rev. John Thomas, Anglesey, preached at Bryn Seion Chapel on Sunday last, and was given a warm welcome by the congregation. Mr Thomas is a native of Lower Cwmtwrch. 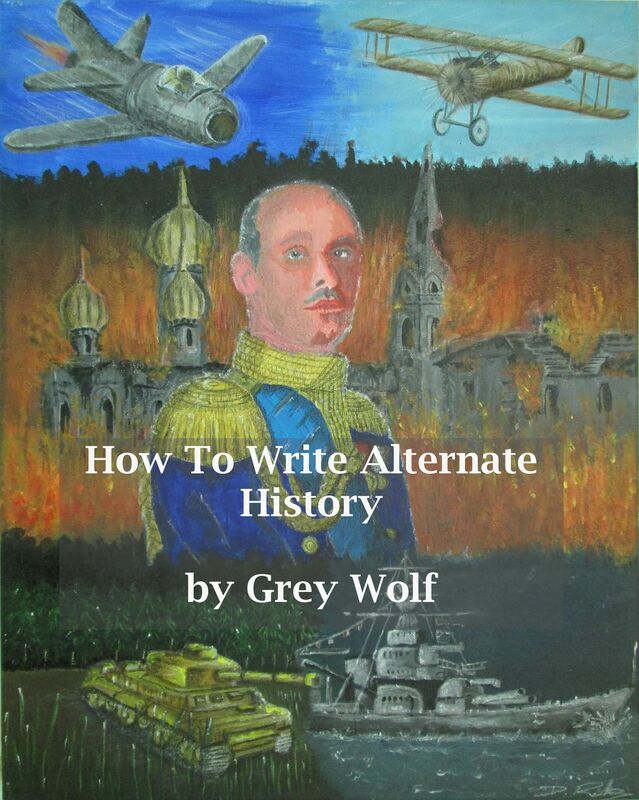 ar ol y diweddar Walter R. Powell, AR BRYNHAWN SUL, EBRILL 14, 1946, i ddechrau am 2-30. 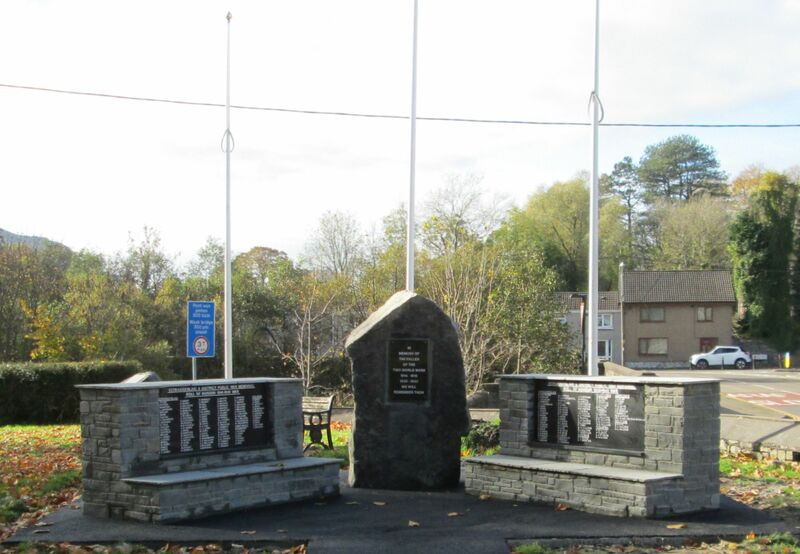 Roddir croesaw cynnes i bawb, ac yn arbennig i'r rhai a fu yn gwasanaethu yn y lluoedd arfog. 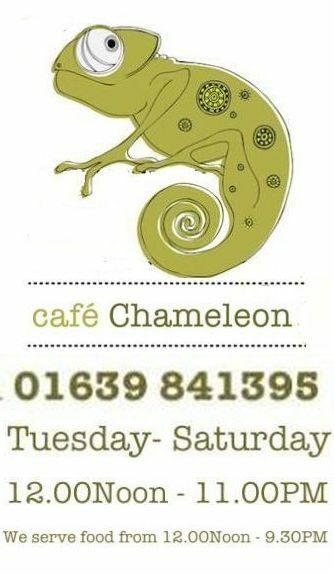 Am fanylion, gwel y posters. BRYN SEION - Rev. 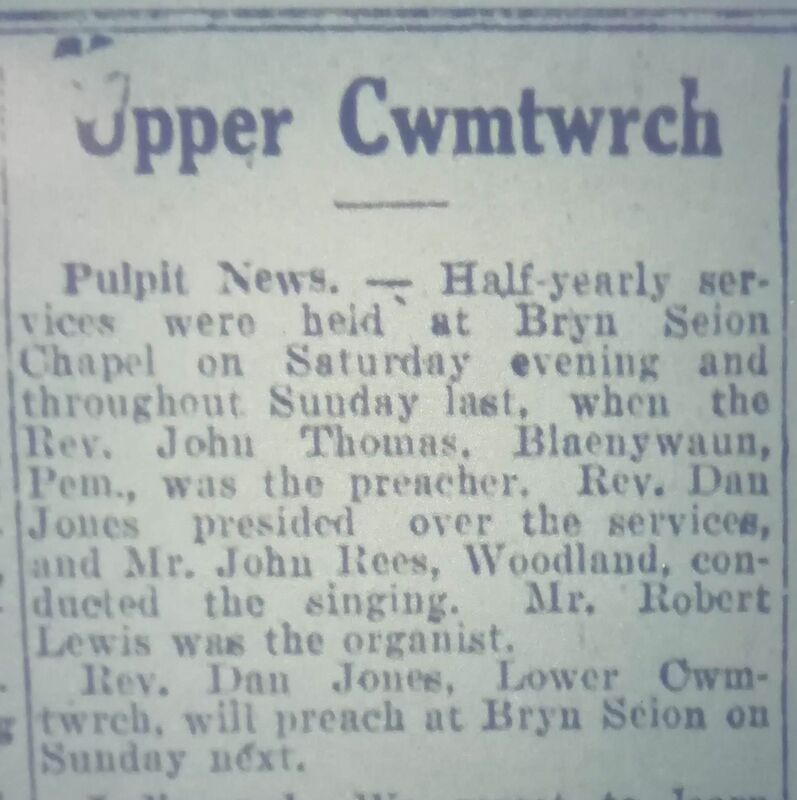 Dan Jones, Lower Cwmtwrch, was the preacher at Bryn Seion Chapel last Sunday. Preaching Services - The Rev E. Dulais Jones, St. Davids, Pemb, formerly of Bethesda Chapel, Glanamman, occupied the pulpit at Bryn Seion chapel on Sunday last, and his inspiring sermons deeply impressed the large congregations. Mr Robert Lewis presided at the organ. Bryn Seion - The pulpit of Bryn Seion Chapel was occupied on Sunday last by the Rev. Hubert Davies, Ainon, Ystradgynlais, who delivered eloquent and timely sermons during the day. 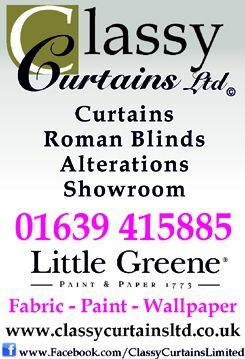 Pulpit News - Pastor George Griffiths occupied the pulpit at Bryn Seion Chapel last Sunday. The singing was conducted by Mr John Rees and Mr Robert Lewis was at the organ. 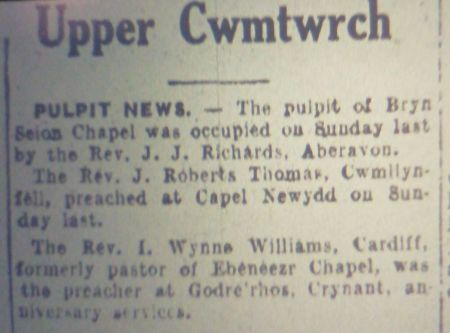 Pulpit News - The pulpit of Bryn Seion Chapel was occupied on Sunday last by the Rev J.J. Richards, Aberavon. 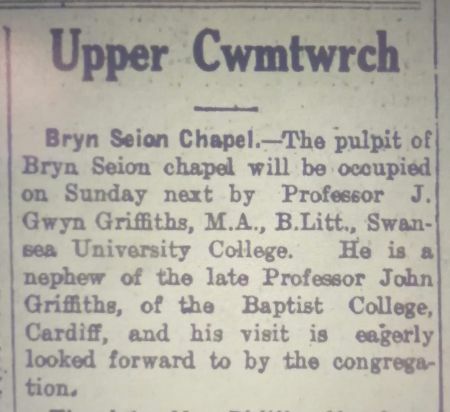 Bryn Seion Chapel - The pulpit of Bryn Seion chapel will be occupied on Sunday next by Professor J. Gwyn Griffiths, M.A., B.Litt, Swansea University College. 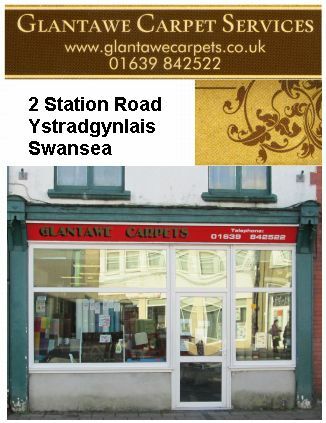 He is a nephew of the late Professor John Griffiths, of the Baptist College, Cardiff, and his visit is eagerly looked forward to by the congregation. Bryn Seion - The Rev W. Jones, Bonymaen, preached at Bryn Seion Chapel last Sunday, and his forceful sermons created a deep impression during the day. 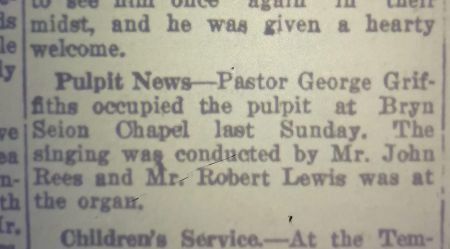 Mr Robert Lewis, who some weeks ago met with an accident at Cwmllunfell Colliery, was able to resume his duties as organist. Pulpit News - The pulpit of Bryn Seion chapel was occupied on Sunday last by the Rev. 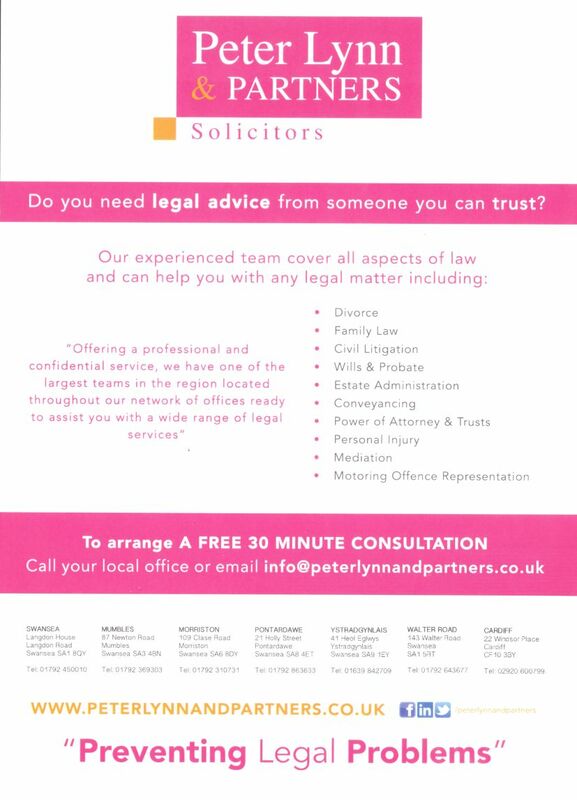 Tudor Davies, Pembroke. 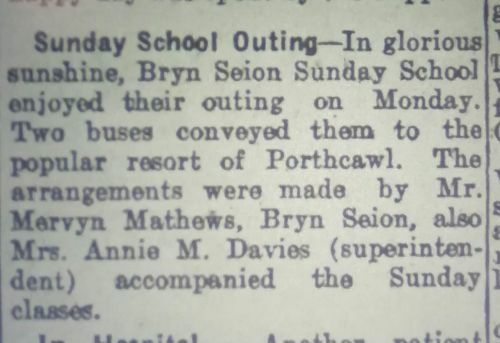 Sunday School Outing - In glorious sunshine, Bryn Seion Sunday School enjoyed their outing on Monday. Two buses conveyed them to the popular resort of Porthcawl. The arrangements were made by Mr Mervyn Mathews, Bryn Seion, also Mrs Annie M Davies (superintendent) accompanied the Sunday classes. 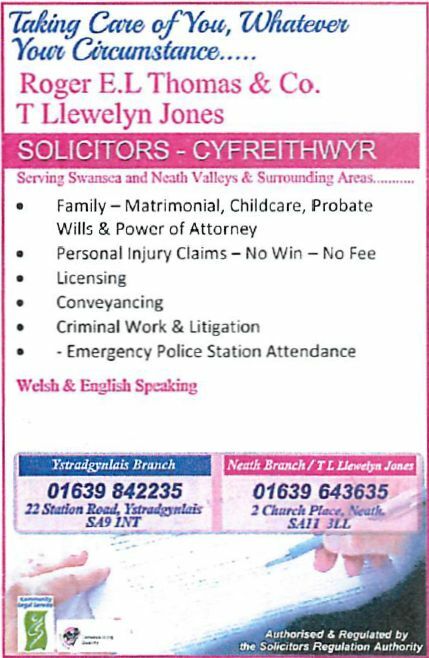 Bryn Seion - The Rev. 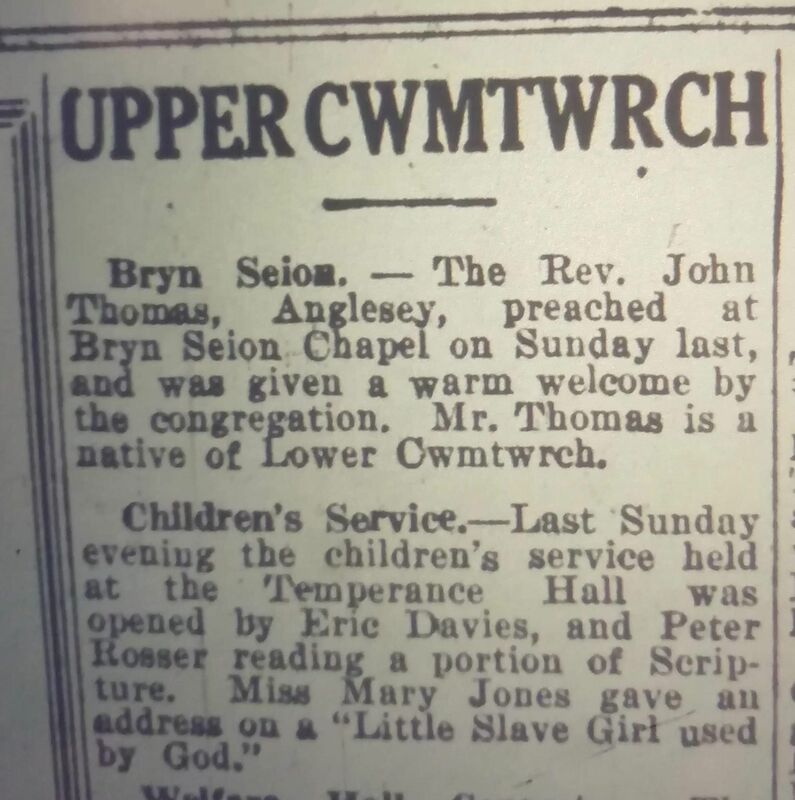 John Thomas, Anglesey, a native of the district, preached at Bryn Seion Chapel last Sunday. 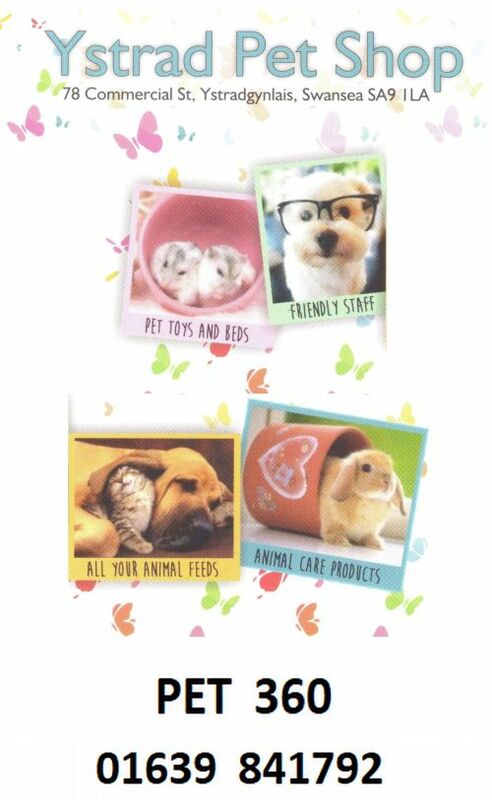 On Saturday evening and throughout Sunday next half-yearly services will be held there, when the Rev. John Thomas, Blaenywaun, Pem, will be the special preacher. 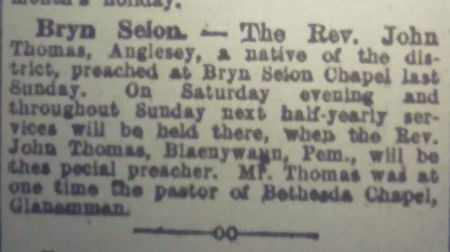 Mr Thomas was at one time the pastor of Bethesda Chapel, Glanamman. 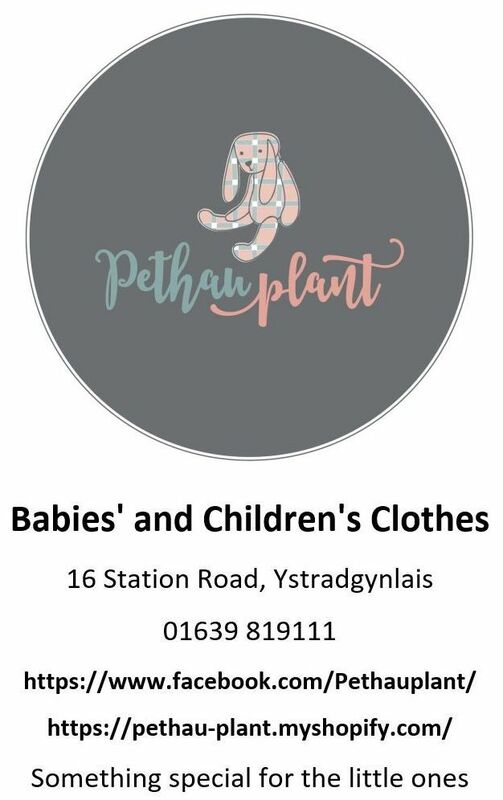 Pulpit News - Half-yearly services were held at Bryn Seion Chapel on Saturday evening and throughout Sunday last, when the Rev John Thomas, Blaenywaun, Pembrokeshire, was the preacher. Rev Dan Jones presided over the services and Mr John Rees, Woodland, conducted the singing. Mr Robert Lewis was the organist. 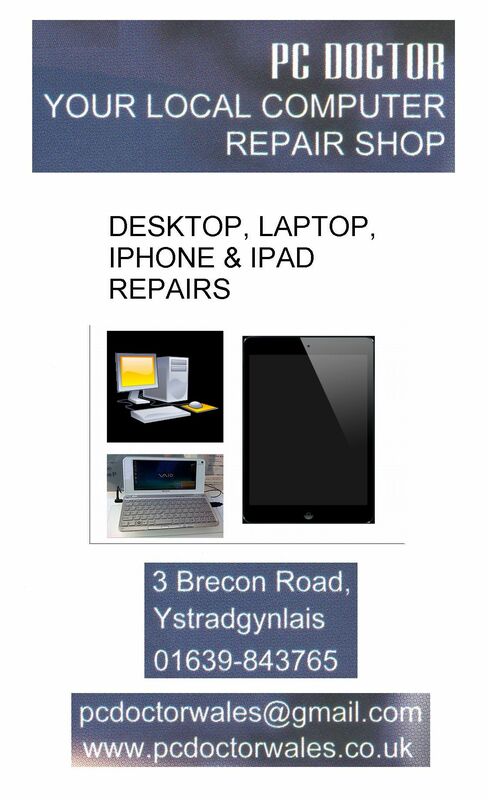 Rev Dan Jones, Lower Cwmtwrch, will preach at Bryn Seion on Sunday next. Mr Dan Jones, Cwmtwrch, was the preacher at Gurnos Chapel on Sunday last, and his sermons were well thought out and delivered. We would not be greatly surprised if Mr Jones received a "call" in the near future, for he is very highly thought of in the Baptist denomination.